With lower corporate overheads and management structure than our commercial competitors we’re able to offer incredible value for money, offering the same and often lower prices than our competitors with a much higher specification. Considering commercial mobile homes tend to have proportionately lower material value, we genuinely feel Eco Mobile Homes Ltd offers the best value for money, if you’re looking for a permanent residential home. We’re specialist manufacturers of the larger twin-unit mobile homes and subsequently our minimum order requirement is £80,000. 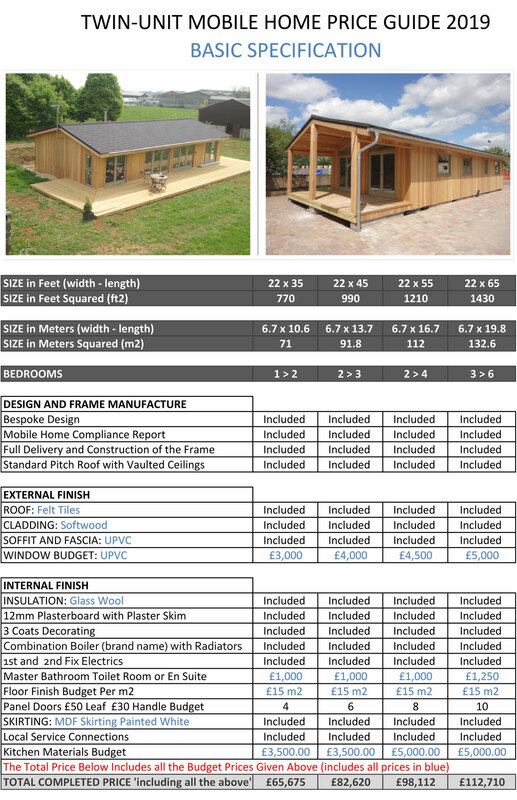 This represents a 40x22ft 2-3-bedroom lodge, fully finished. All the prices quoted include full delivery and construction of the home, fitted kitchens and bathrooms, but do not include furniture or groundwork. Each home is individually designed from a wide selection of finishes and therefor uniquely priced. Our average price range is between £80-150,000. 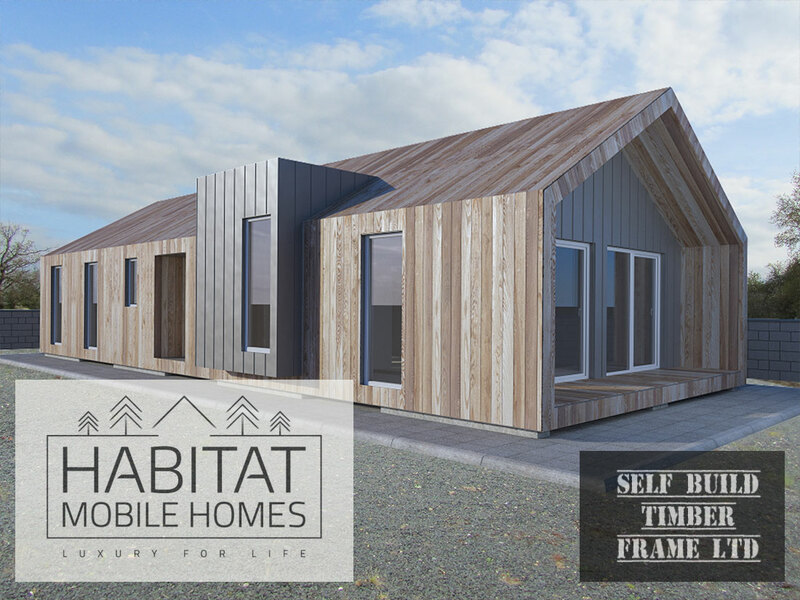 Full size 65x22ft (20×6.8m) mobiles homes start from £120,000 with a top specification 4-5 bedroom luxury lodge with lots of features averaging £150,000 totally finished to the highest standard in the industry. 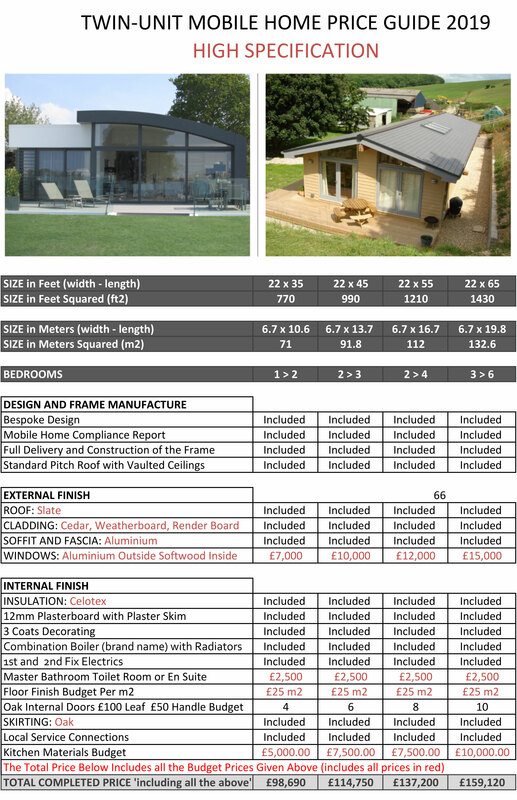 Prices exclude ground works and services but include all other costs, delivery etc. Prices are zero VAT rated. • Furniture, white-goods, curtains, T.V’s and entertainment. • Groundwork, services, site clearance.